Congratulations to the Potomac Heights Volunteer Fire Department & Rescue Squad of Indian Head, Maryland on your order of a new Seagrave Heavy-Rescue. Seagrave thanks you for your business and looks forward to working with you! 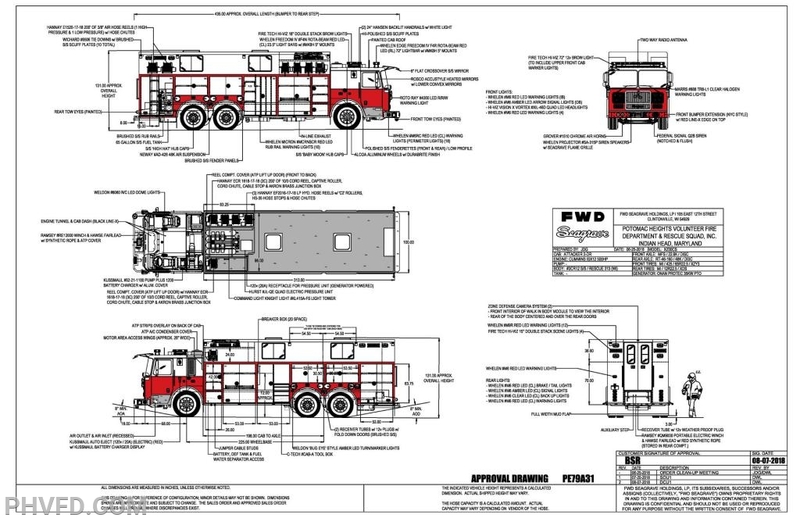 * Overall Length 36' 3"
* Overall Height 10' 9"
For additional information on this or other Seagrave products, contact your local Seagrave Representative or call 715-823-1975.